Kelly Bess (nee Ok Cha Kim) loving wife, mother and friend, passed away peacefully on Saturday, November 10, 2018 at the age of 73. 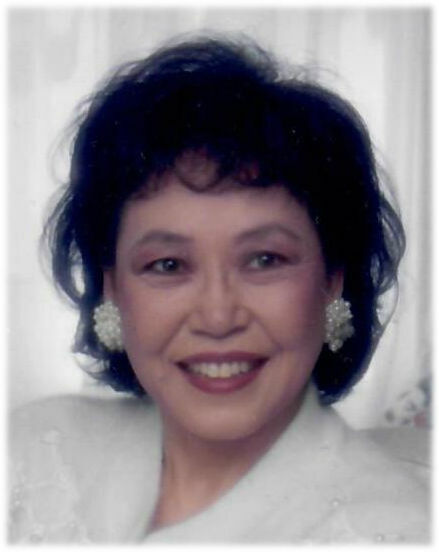 She was born on May 22, 1945 to a large family of brothers and sisters in South Korea. Kelly met her husband, Paul Stephen Bess, while he was serving in the U.S. Army. They married in 1967 and after giving birth to her son Brian Taylor Bess, they moved to the states. Although she had a limited education in South Korea, she obtained her United States citizenship within six months’ time. After returning from her husband’s tour in Germany, Kelly had her daughter, Linda Ruth Bess. Characteristics about Kelly that stood out to most people that met her was unwavering courage, tenacity, and a confident, radiant smile. She was both bold and defiant in her dress and her demeanor. Kelly adored gardening (especially roses), was a gifted cook and seamstress, and an avid reader. She loved to tell stories about her life, sing hymns and listen to music. A former member of Edgerton Wesleyan Church, she led the children’s choir during Vacation Bible School and directed Good News Club studies for children at Payne Elementary. She had a great fondness for cats. Kelly is survived by her husband Paul, her daughter Linda, her son Brian and his partner Amber Henninger, her granddaughter Aubrey Brianna Bess & siblings Brandon & Mikey, her sister-in-law Charlene Brumbaugh and husband Rev. Jan D. Brumbaugh and their daughter, Stephanie Ruth Brumbaugh, and her siblings, nieces, nephews and cousins abroad. The family offers immense gratitude to the caring and loving friends and staff who cared for Kelly (Mama San) at the Laurels of Shane Hill, Rockford, Ohio. Services for Kelly will be held at 1 p.m., Saturday, November 17, 2018, at Cowan & Son Funeral Home with Rev. Jan D. Brumbaugh officiating. Interment will follow at Van Wert Woodland Cemetery. Calling hours are 5 - 7 p.m., Friday and one hour prior to services on Saturday. Flowers, sentiments, and donations to the family may be sent to the funeral home. If you wish to honor Kelly's life through a donation that reflects the love and empathy she gave to strays, please consider your local SPCA.